Hitler stands in a double breasted suit behind the back of a chair. 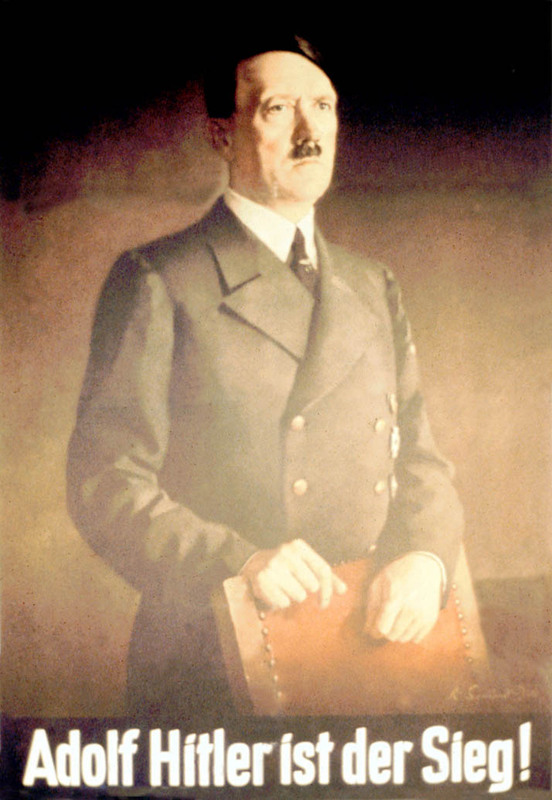 Poster Text: ADOLF HITLER IST DER SIEG! [Adolf Hitler is the victory!]. Publisher: Reichspropaganda - Leitung H. A. Pro.